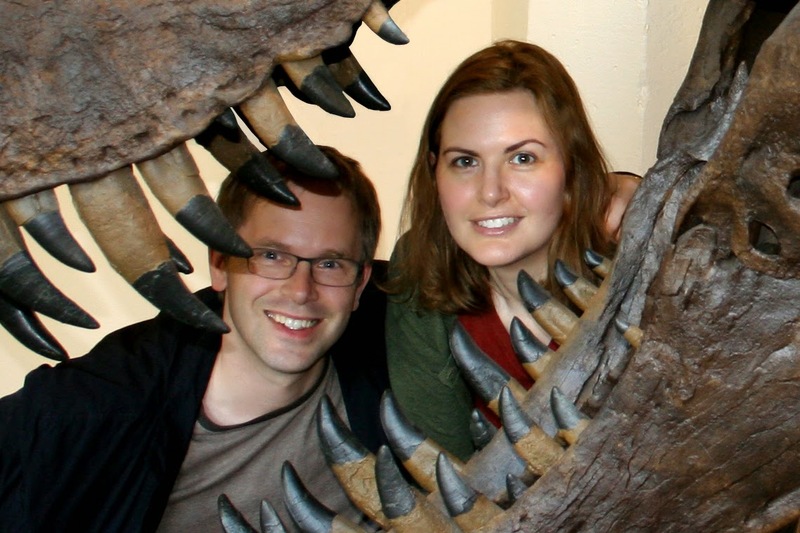 Lenore and Daniel first of all congrats on your Crystal Kite award for Chick-O-Saurus-Rex! This is exciting news! Can you share with us maybe your first reaction when learning about the wonderful news? Thank you! We are thrilled, especially because it is an award from our SCBWI peers. We got the happy news right after getting some not so happy publishing news, so it definitely put some sunshine in our day! Lenore and Daniel, could you both tell us a little about yourselves and how you got started in publishing? 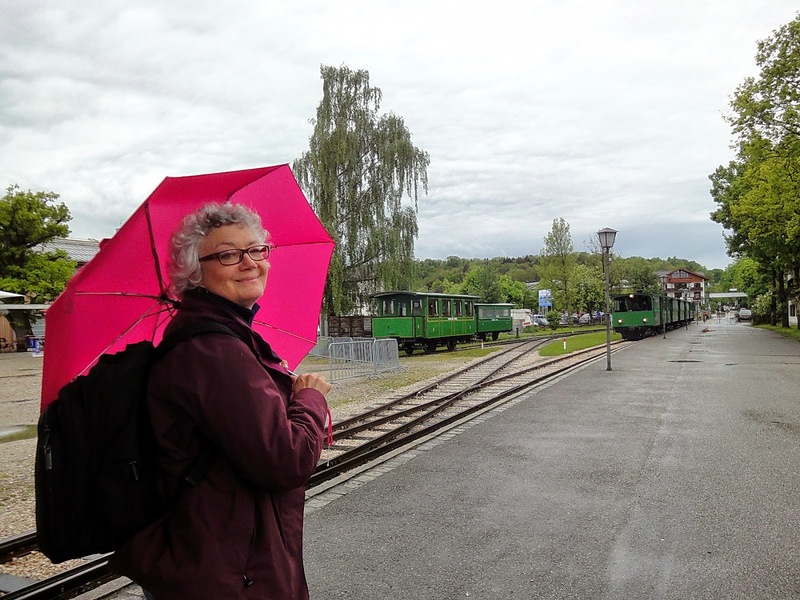 Lenore is an expat American living in Germany while Daniel is German. Both of us got our career starts in advertising, Lenore in copywriting and concept and Daniel in design. It was 10 years ago (2004!) when we decided to use our vacation time to start working on a picture book together. It was soon after that we joined SCBWI, and it was at the SCBWI Bologna conference 2008 that Daniel got his first break, catching the eye of HarperCollins Art Director Martha Rago during the First Look Panel. 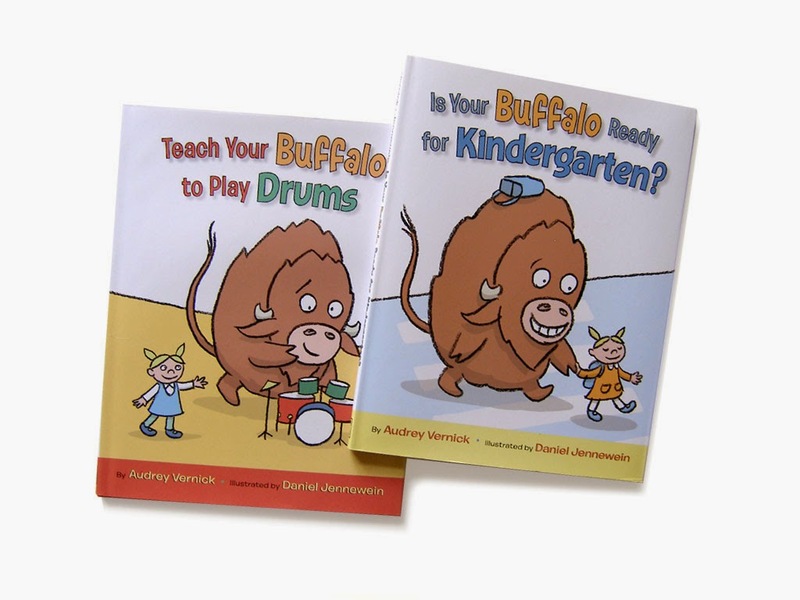 She ended up contracting him to illustrate the two Buffalo books written by Audrey Vernick. 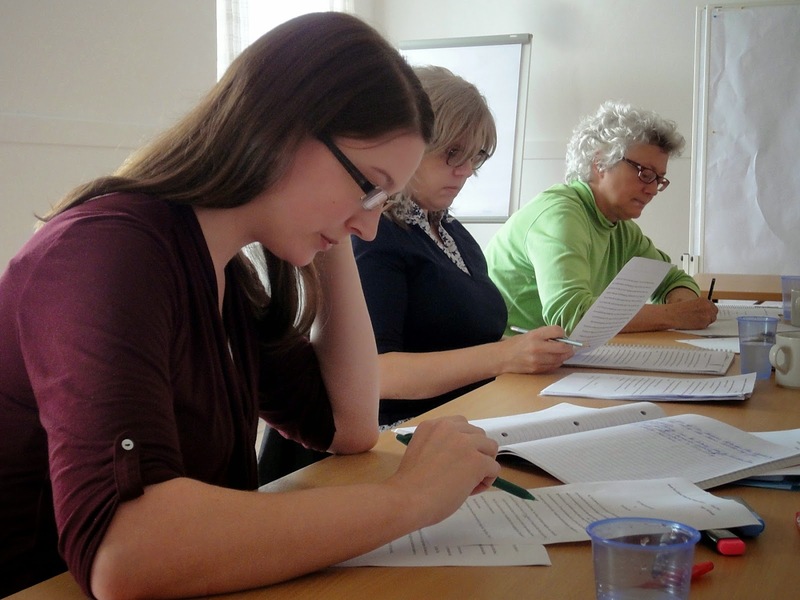 Similarly, Lenore got an offer of agent representation as a result of the work she presented at the SCBWI New York conference 2011 at one of the agent/editor roundtables during the Writers Intensive. As you can see, we owe a lot to SCBWI! 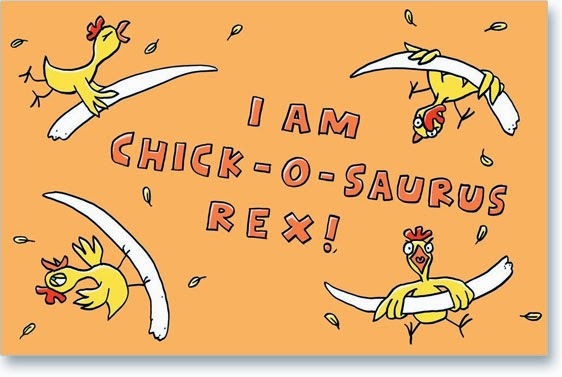 Chick-O-Saurus Rex is the first book you worked together on, can you tell us how working together started and what the difficulties were you had to face? It was actually our fourth project together, but the first to get published. Our main challenge was that Lenore was working on edits for her novel concurrently, and it was stressful to have to switch creative gears on such a tight schedule. How do you go about creating a book together, is it all split evenly or do you split responsibilities strictly with Lenore “only” doing the writing and Daniel “only” doing the illustrations? 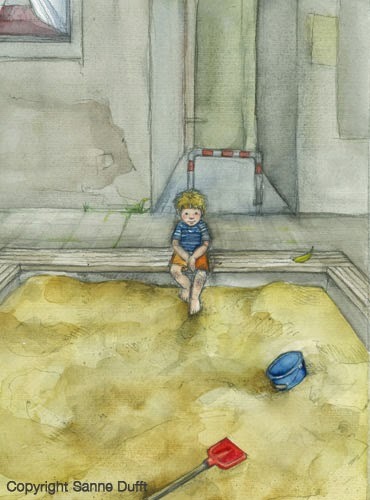 Before we start on writing or illustrations, we hammer out the story on a macro level. What is the character arc? What is the plot? What are the themes? Then we chart out the action on a storyboard. Only then do we go in on a micro level. That means Lenore figures out what words need to go on the page and Daniel decides what pictures might work. Then we put them together and try to get a good balance between how much of the story you get via the writing and how much is transmitted via the illustrations. 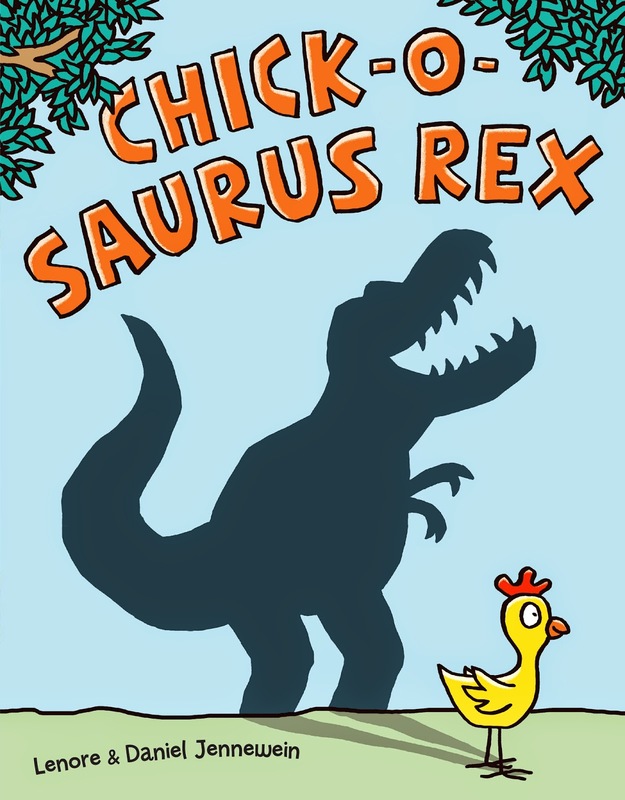 Many books start of from a personal experience or an idea long nourished but never pursued, what is the backstory to Chick-O-Saurus-Rex? CHICK-O-SAURUS REX was one of those lightening-in-a-bottle ideas. 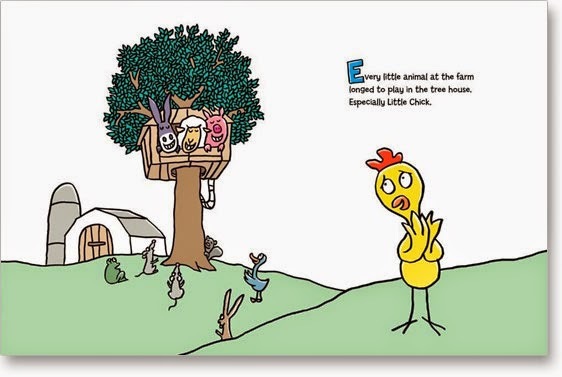 We were visiting a friend and her daughter happened to mention something she learned in school that day – that chickens were the closest living relatives to the Tyrannosaurus Rex. That’s such a great hook for a picture book, and we could immediately imagine so many possibilities. Lenore, you not only write picture books but also YA with your next book scheduled for later this year. What is the challenge when writing for these very different genres and what is it you see as a benefit when being able to create books for various genres? 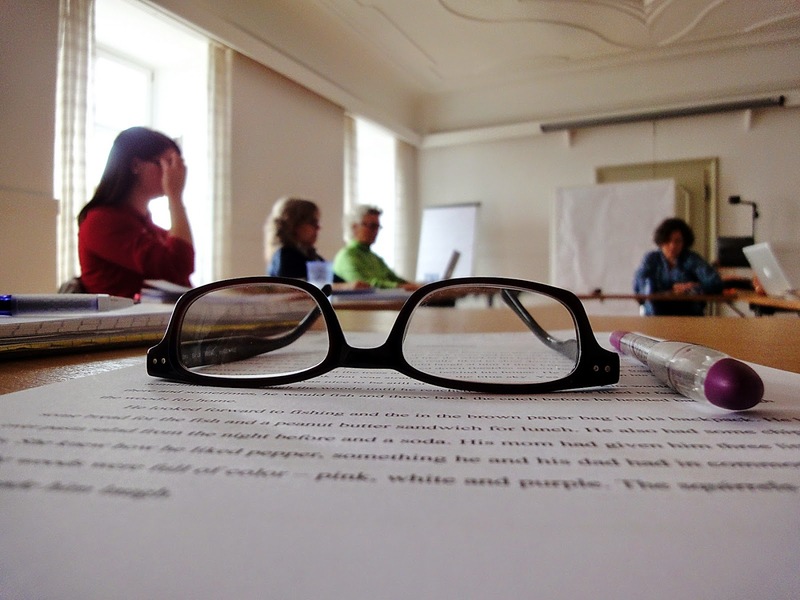 Both writing novels and picture books require you to find the best craft tactics for telling the story. With picture books though, you really are telling only half of the story so you need to have an instinct for what you can leave to the illustrations. I love being able to write for both genres because my novels tend to be more serious while Daniel’s illustration style lends itself to more humorous work. Daniel, your style is very distinct and fun, can you share how you came up with this very unique style? I wanted to create images that weren’t too busy or distracting but clearly conveyed Little Chick’s transformation. Also, I like to draw mean and ridiculous looking animals and was happy to be able to use them here. When illustrating I find it challenging to not lose the spontaneity of the first sketches in the final artwork. 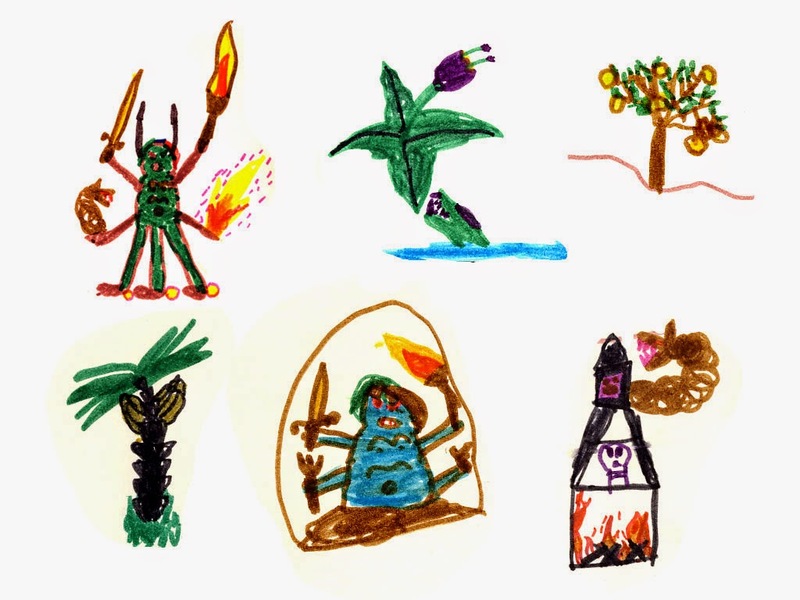 To keep rigidity from sneaking in, I’ll look at children drawings. I always have the goal of surprising myself with what I come up with. It’s not something I can force though, so I try to stay active and draw as much as possible. Daniel, how do you go about illustrating a book project? Could you share with us a little bit about your process of Chick-O-Saurus-Rex, as it is always very intriguing to see how an artist gets from the first idea to the finished illustration? Generally I would say funny ideas are born of chaos and later have to be structured to work in the story. I am chaotic by nature and have a hard time structuring, but fortunately I have Lenore and a strict German upbringing to keep me in line. I start out with pencil scribbles and put down everything that comes in my head. This is a messy stage, in which I end up with a few loose sheets of random scenes. In the next stage I try to bring order into the mess by putting together a storyboard with thumbnails to get a rough overview of all the scenes and transitions. When I have a rough idea of the flow of the story I start putting together a mockup. I use InDesign to set the text and I fill it with rough sketches in black and white that I draw with a Wacom tablet in Photoshop. So far I’m working with clear outlines and color digitally but I try to experiment with different styles to avoid repeating myself. The last thing I want to do is get stuck in a rut. 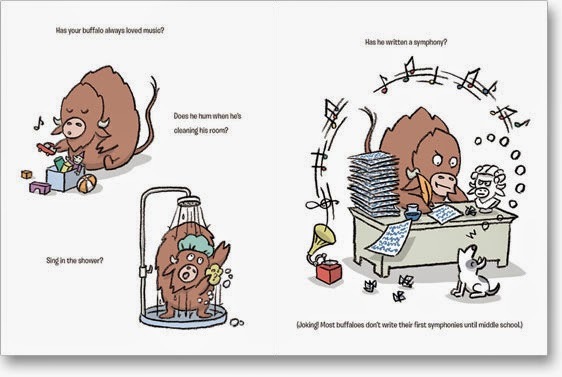 Lenore and Daniel, from first draft to final book, how many revisions did you have to go through until you had the beautiful book as we can now find it in book stores? That’s hard to say! 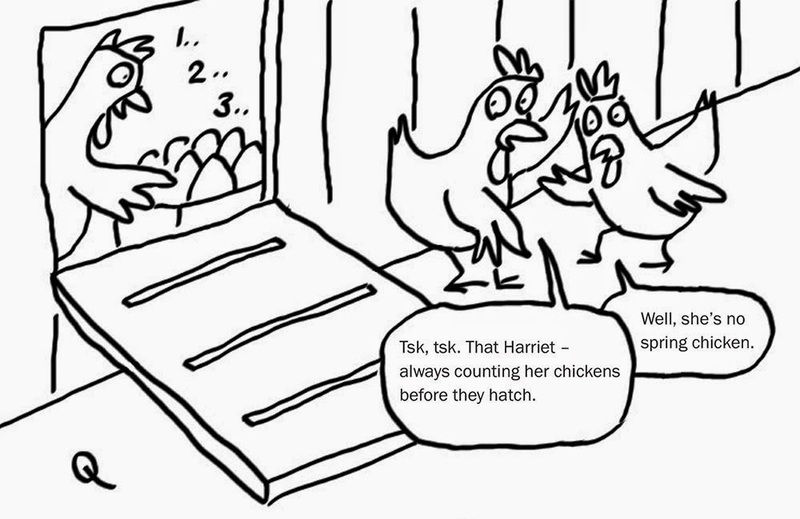 We spent a lot of time on storyboarding in the beginning, so I think that helped keep the revision rounds down. We probably went through five major rounds of revisions pre-sale, one before our editor took to the book to acquisitions, and then a couple rounds of more minor revisions with our editor and art director. Lenore, when revising a book you often have you kill your darlings, where there any darlings you had to kill or did Daniel had to kill any in his illustrations? During the process of creation there are many things we’ll come up with that we love but that don’t end up fitting in the final version. 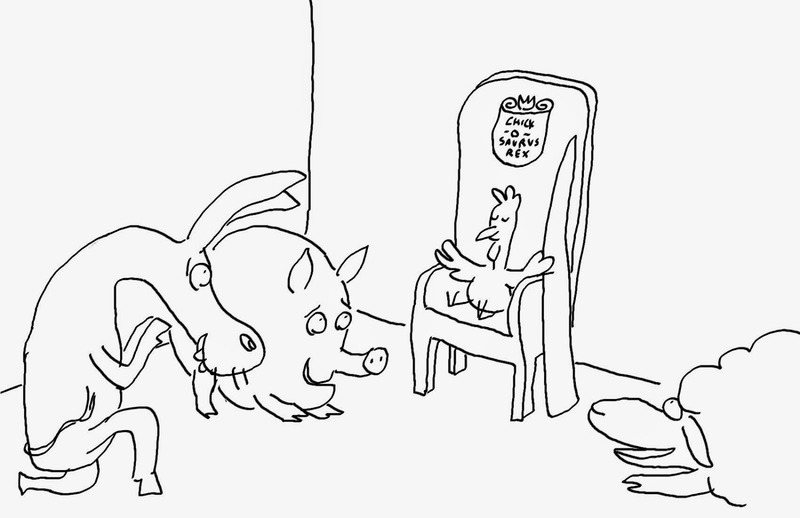 We both loved an illustration Daniel did of the sheep, donkey and pig bowing down to Little Chick after he saves the farm, but ultimately it didn’t work with the spirit of the story. There was also a spread we did with even more chicken jokes that got scrapped. Oh, and I thought it would be hilarious if the wolf was named Hungry Wolf, in the same schema as Little Chick, Little Sheep, etc. But our smart editor (Alexandra Cooper) rightly pointed out that this would hint at the farm animals having a prior relationship with the wolf, which has the potential to take you out of the story. Many of us have creative blocks from time to time, do you ever struggle with that and what tricks and tips do you have to overcome this? What works for us is “refilling the well”. It’s amazing how the ideas flow after reading other books, watching movies, going to museums, or clicking on interesting links on Facebook (seriously!). We also like to take long walks to discuss what we’re working on. Now that you have published a few books is there any advice you would give yourself while still working on your first story? Your first story may well be your practice story and never see the light of day. Know when it has outlived its usefulness as a learning tool and be open to moving on. Are there any new projects you are working on together and what can we look forward to from you two in the future? 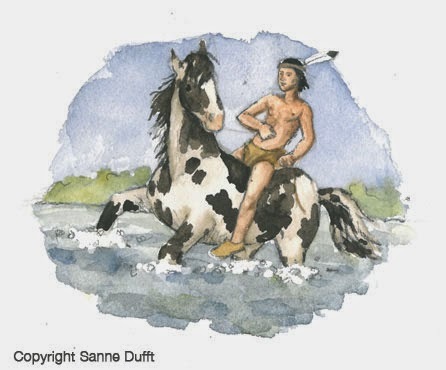 We do have several picture book projects in various stages of readiness, so hopefully you’ll be seeing those soon. Daniel is also always open to illustrating other projects. 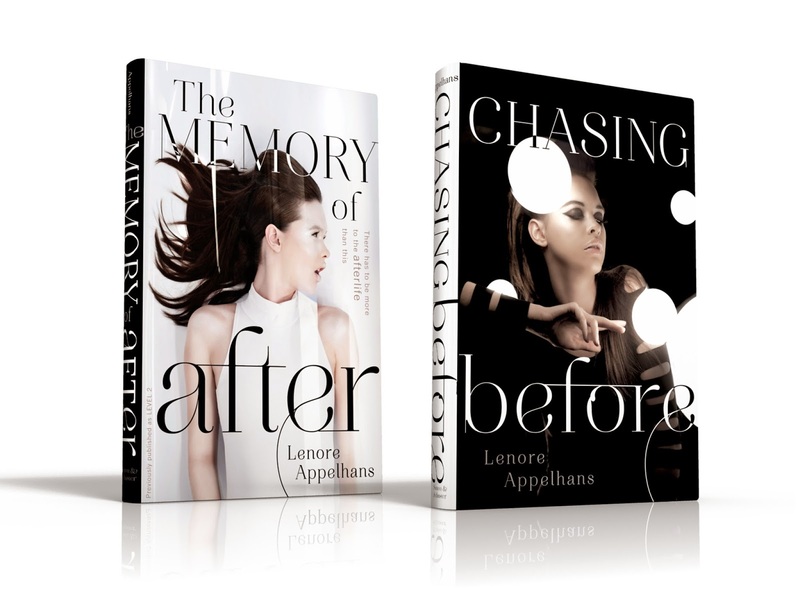 And Lenore has CHASING BEFORE, the sequel to LEVEL 2/THE MEMORY OF AFTER coming out on August 26, 2014. 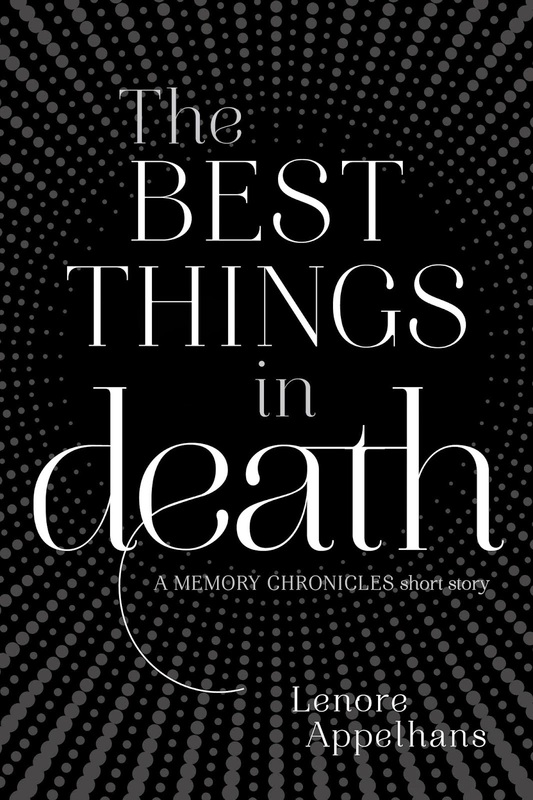 There is a also a short story collection in the Memory Chronicles world called THE BEST THINGS IN DEATH coming out May 27, 2014 as an eBook exclusive. 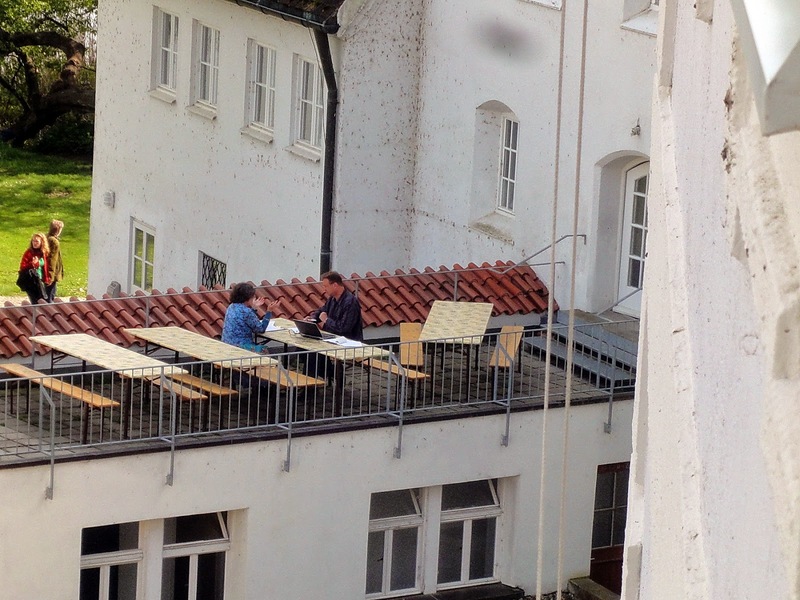 Thank you so much, Lenore and Daniel, for sharing all these wonderful insights with us! We are very much looking forward to more amazing books by you both! 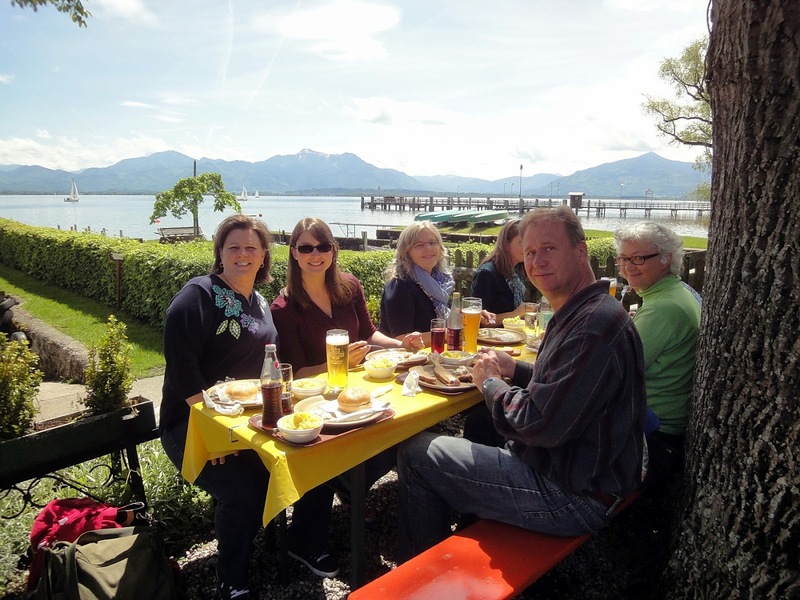 Members of SCBWI Germany / Austria were well-represented at the Bologna Children’s Book Fair. Our illustrators met with their publishers and showed their portfolios to new art directors and publishers from all over the world. 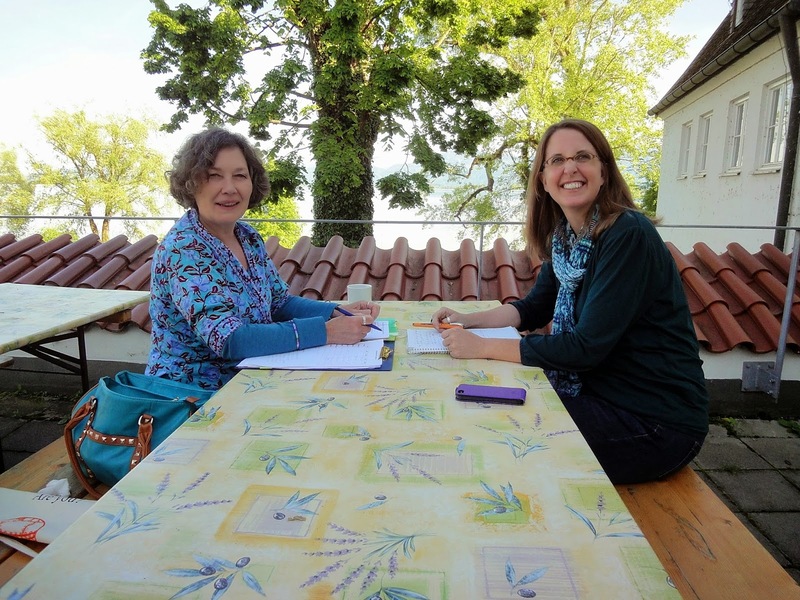 Additionally, Maria Bogade (SCBWI Regional Advisor) and Sanne Dufft hosted the SCBWI Germany / Austria Showcase at the SCBWI booth. PAL published books by our members were on display. The Bologna Childrens’ Book Fair is the world’s largest book fair dedicated to children’s books. The Bologna Childrens’ Book Fair is the world’s largest book fair dedicated to children’s books. While some book fairs are open to the public, the Bologna Children’s Book fair is oriented to professionals, mainly publishers and agents who meet to buy and sell international rights. Prestigious awards including the AstridLindgren Memorial Award and BolognaRagazzi Awards are announced during the fair. This year featured a new Razaggi award for digital publishing apps. In addition to the publishers and agents, the Bologna Children’s Book Fair attracts aspiring and professional illustrators, translators, writers and digital media creators. Illustrators have opportunities to book appointments with publishers in advance or visit several publishers’ booths during open viewing times. 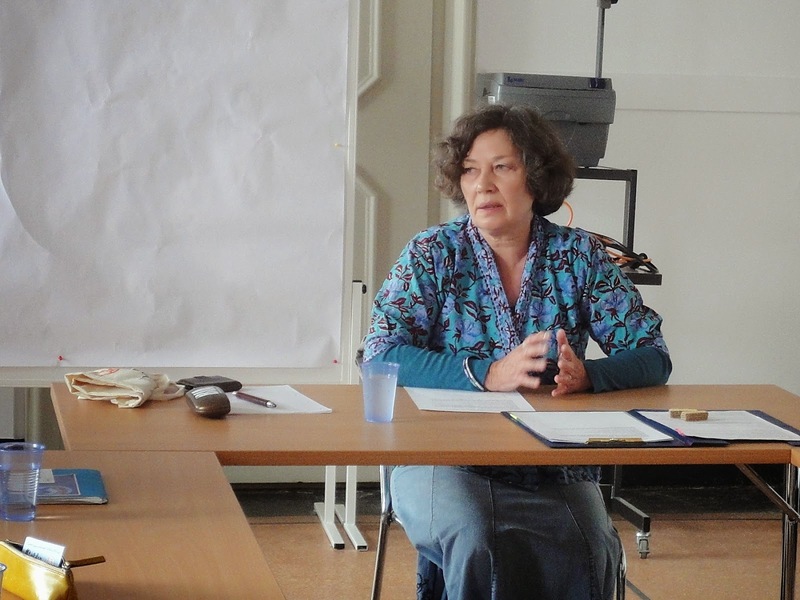 Translators and digital content creators have their own centers at the book fair and a wide range of professional educational presentations and workshops. 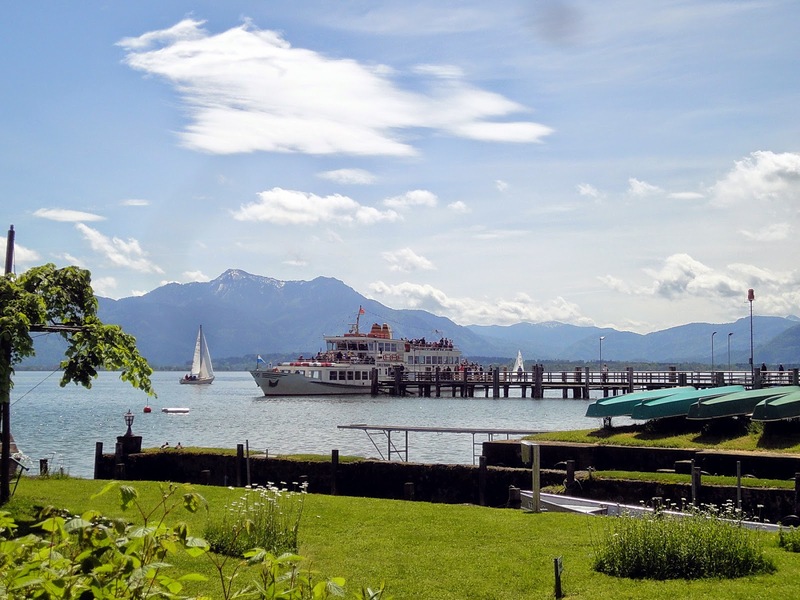 The entire program for 2014 can be found here. 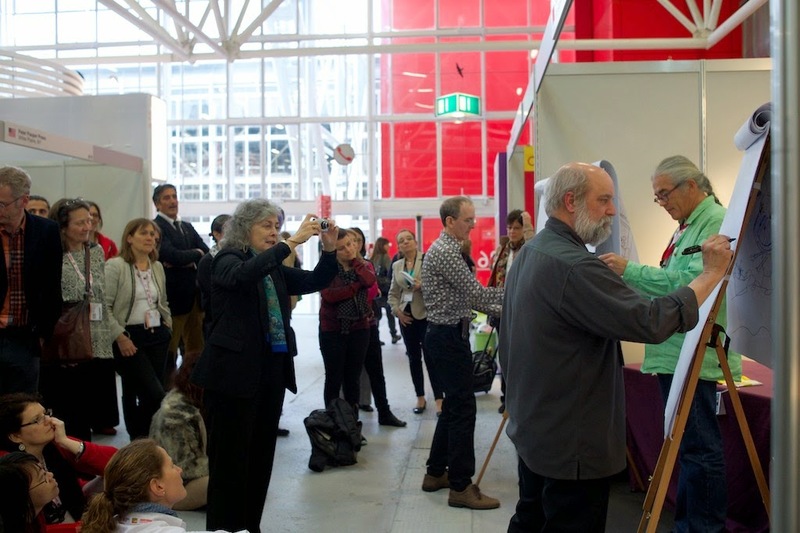 2014 marked 10 years of SCBWI’s participation in the Bologna Children’s Book Fair. 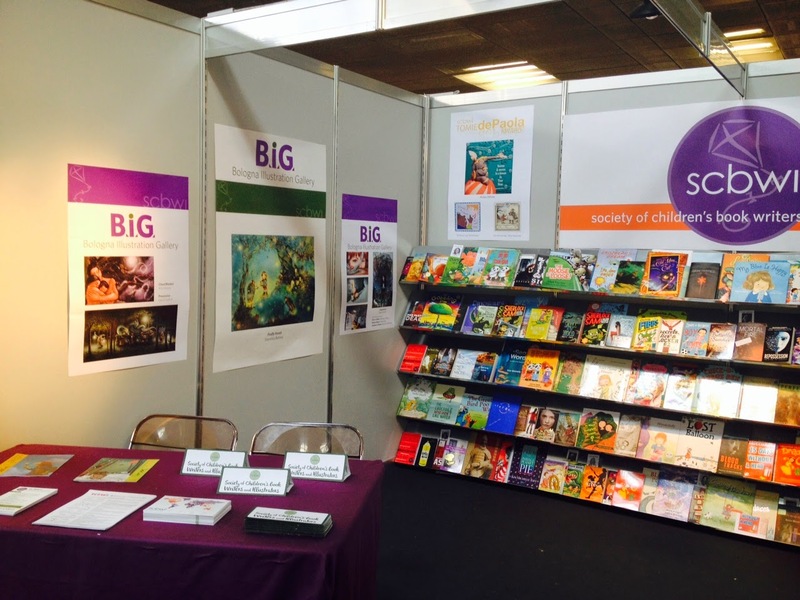 The SCBWI Showcase featured a digital display of the 2014 Bologna Illustrators Gallery, BIG, a display of member’s success stories as well as SCBWI members’ PAL published books from around the world. The booth, including posters of BIG winners and SCBWI Award winners was designed by Rachelle Meyer, SCBWI’s International Illustrator Coordinator. SCBWI’s ever popular Dueling Illustrators events were extended over three days and was organized by SCBWI MidSouth’s Illustrator Coordinator Susan Eaddy. 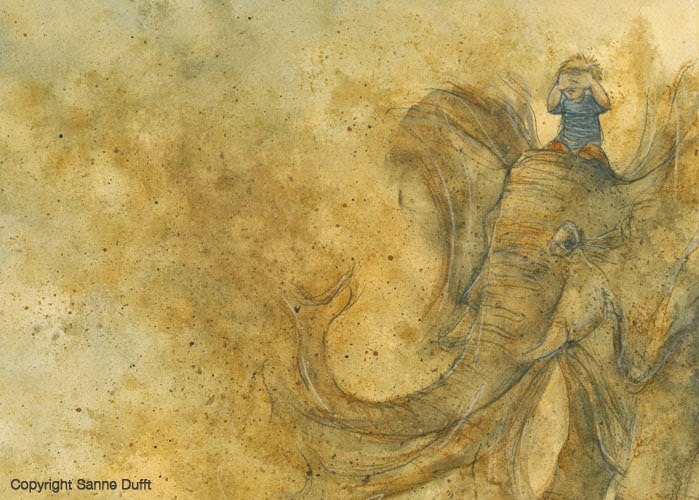 In addition to Susan Eaddy, SCBWI’s brave duelers included: Doug Cushman, Paul Zelensky, Bridget Strevens-Marzo, Sally Kindberg, Anne Marie Perks, Sarah Underwood, Sarah Baker, DarcyZoells, CarmelO’Mara Horwitz, Twyla Weixl and Nathalie Marin-Baldo Vink and featured picture book manuscripts written by Kathleen Ahrens, PJ Lyons, Sue Thoms, Laurie Cutter, Norma Klein and ChrisCheng.